House was APPRAISED OVER $204, 000. Back on the market because Buyer financing fell through. Go ahead and add to your "must see" list. 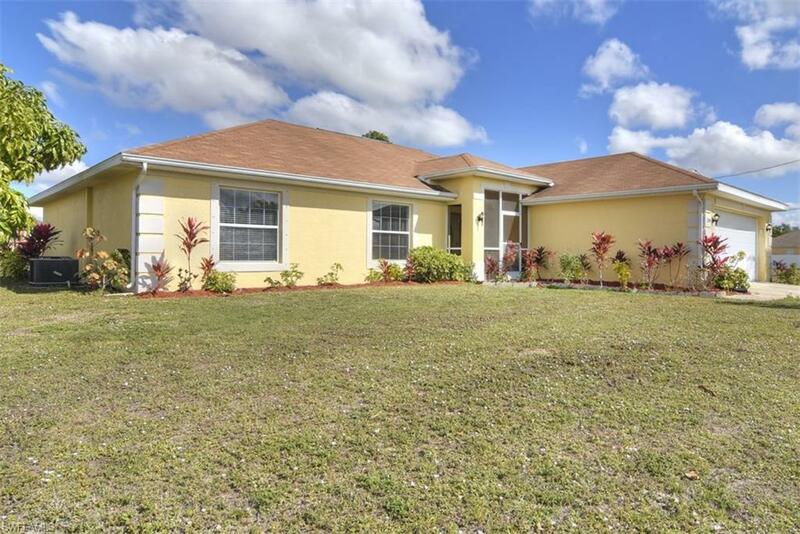 This beautiful home sits on a corner lot and is minutes from everything, right in the heart of Cape Coral! The house is well maintained, spacious, and selling for UNDER $200, 000! Over 1, 700 SQ Ft, split bedroom, and plenty of yard space! The open backyard features some nice fruit trees such as mangos, avocados, and other fruit trees. Home has irrigation system, NEW WATER HEATER! Make this your home!! !